Follow my webisode inter-galactic opera Space Dust. Heavily inspired by other series, but a few added flairs of my own. Its a scifi guilty pleasure, I hope you enjoy. A rag-tag crew joins a female cyborg captain of the resurrected, retro-fitted generation seed ship Rival Bay, on her personal bounty-hunting vendetta to where…? Episode 33: Cleaning Up the Clean-up Crew Epilogue…? 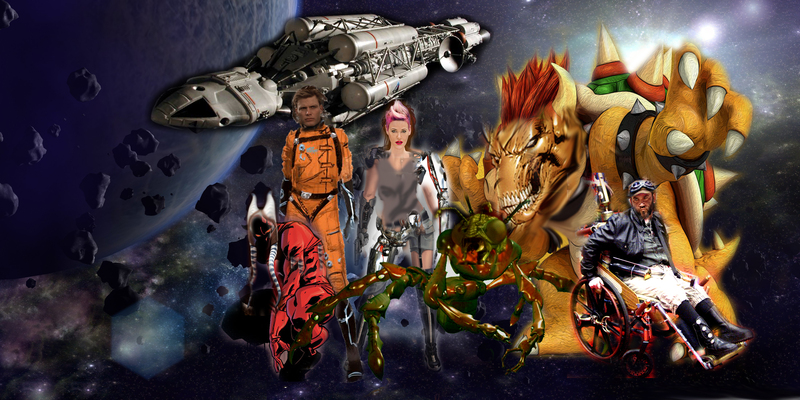 Episode 55: Travel Plans Without enough cash to follow their new tip, Crimson and the crew look for a different way to the edge of the galaxy.